Weddings have a tendency to be stressful, expensive, and time consuming by themselves without adding an exotic location to the mix. Many times when people choose to go on location for their wedding, they skip out on a lot of the pleasantries and necessities of a typical wedding and just decide to have a small ceremony on the beach with their closest friends and family. This might be the way a majority of people do Hawaii weddings, but every once in awhile you have the couple that goes all out and plans the most extravagant wedding you could imagine. The wedding is complete with every amenity you could think of that often requires the help of many different services to make the reality come true. Each island presents it’s own culture. If you’re a lover of the islands and have already visited them all, you’ll probably have a good idea of which island is your favorite and which island you want to get married on. In terms of a wedding, you have to decided which will be best for the mood you’re trying to emulate, the budget you’re trying to stick to, and the resources you want to use. Overall, Oahu is the popular island that has a nightlife and the convenience factor. It’s the most like not living on an island you’ll get in the South Pacific. Maui is romantic and populated, yet wild. Kauai is completely wild. Hawaii is diverse, and Molokai is as close as you’ll get to living like a local islander. Think about all the factors and choose your dream destination accordingly. Contrary to the belief that everybody literally gets married on the beach with the waves at their backs, this is a misconception. Yes, the option is obviously there, but there are a whole range of other options when you get married in Hawaii. The beach is almost always windy, so it might not be thee place you choose to say your vows for fear of things blowing over and the pictures being full of people brushing their hair out of their faces. You have tons of resorts to choose from, you have villas, yachts, mountains overlooking the ocean, you have the top of volcanoes….the romantic and worthy destinations are not limited to the feeling of the sand in your toes. What is a wedding without alcohol and what is a wedding in Hawaii without booze? 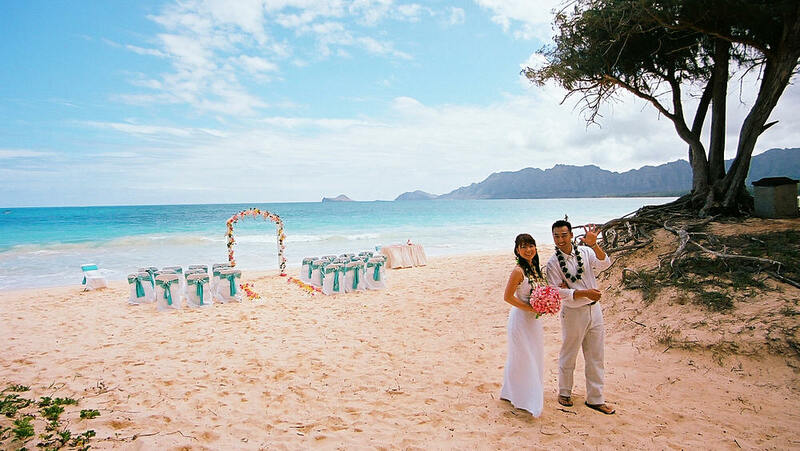 To truly plan a Hawaii wedding properly, be sure to include more than enough Mai Tais and Pina Coladas for the your party and guests to enjoy. When you choose the right island, the right place for the ceremony, and you give people alcohol, a great time will be had by many in the amazing tropical sun.